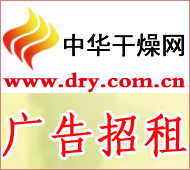 China Drying Newsletter "In recent years, Guangxi's phosphorus chemical industry has developed rapidly. Not only import and export trade continues to thrive, but more and more companies are investing in local phosphorus chemical projects. With the arrival of a large number of phosphorus chemical companies, northern Guangxi Phosphorus chemical industrial clusters are being formed in Fangchenggang and Qinzhou in the Bay Area,â€ said Lin Ming, president of Guangxi Phosphorus Chemical Industry Association. According to reports, Guangxi is in the best position for the export logistics of China's phosphorus chemical products. Phosphorus chemical products exported from Guangxi exceed 50% of the total export volume of the country, and the export of phosphoric acid products takes the lead in the country. â€œHowever, it is worth noting that during the growth of Guangxi's phosphorus chemical industry, due to the unreasonable industrial structure and other reasons, currently Guangxi's phosphorus chemical products are mainly exported to middle- and low-end products, while high-profit products still need to be imported. Local phosphorus chemical companies should be alerted," said Lin Ming. It is understood that Guangxi does not have a very good phosphate rock resource. The phosphate rock that the company produces is mainly from Yunnan and Guizhou. Relying on the good logistics and location advantages of Fangchenggang and other places, the development of Guangxi phosphorus chemical industry is generally optimistic. The reporter learned from the Lingang Industrial Zone in the southwest of Fangchenggang City in Guangxi that, since the first phosphate chemical company settled in 1993, Fangchenggang City in Guangxi has attracted a number of phosphorus chemical companies to settle in, relying on the advantages of large ports and location facing the Southwest. â€œA lot of phosphorus chemical products such as phosphoric acid are hazardous chemicals and have high transportation costs. Guangxi has the advantages of location, logistics, and export, so in recent years many companies have chosen to build a production base in Guangxi in order to facilitate market development.â€ Lin Ming stated that many large companies at home and abroad have taken a fancy to Guangxi's advantages in building phosphorus chemical projects in Guangxi, such as Yunnan Nanxi Group, Chuandong Chemical, and Bella Group of India are all very optimistic about the investment of phosphorus chemical projects in Guangxi. Jiangsu Chengxing Group also announced that it plans to invest RMB 5 billion in Guangxi Qinzhou to build a phosphorus chemical industry park. Guangxi is gradually changing from a distribution center for phosphorus chemical products to a production base. With the successive settlement of these enterprises, the phosphorus chemical industry in Guangxi has developed rapidly in recent years. According to customs statistics, in recent years, the annual export of phosphoric acid products from the port of Guangxi's Fangcheng City has accounted for half of the country's total; last year's Guangxi port exported more than 300,000 tons of phosphoric acid, continuing to maintain the forefront of the country. However, through the product export table reporters saw that low-value products occupy the "big head" of Guangxi's phosphorus chemical exports, many fine-phosphorus chemical products required by high-tech industries can only be imported from abroad. Lin Ming believes that this is a relatively poor basis for the development of Guangxi's phosphorus chemical industry. There are problems related to the existence of irrational product structures, uneven levels of management and technology, and excessive competition in the industry. The reporter learned that some of the phosphoric acid producers in Fangchenggang and other places in Guangxi still use old production equipment 20 years ago, and most of them produce single food grade phosphoric acid products, which to a certain extent has caused vicious competition among enterprises. Mei Yi, dean of the Yunnan Chemical Research Institute, believes that the factors that restrict companies to engage in fine-phosphorus chemical industry include application technology in addition to production technology. And it seems that the latter is more important than the former. Mei Yi pointed out that engaging in fine-phosphorus chemical industry must not be separated from application. Most chemical companies produce basic chemical raw materials. Whether the products can bring benefits depends on whether the company can develop new products that are easy to promote. In addition, the fact that the utilization rate of resources is relatively low and the pressure for energy conservation and emission reduction is relatively high has also affected the further development of Guangxi's phosphate chemical companies. It is reported that a phosphorus chemical company in Guangxi has been planning a listing in recent years, but due to environmental protection verification and many other factors, it has been unable to achieve a listing plan. In the face of various problems in the development of the industry, Lin Ming said that the current deepening of structural adjustment and the efficient use of phosphorus resources is the only way for phosphorus chemical companies to meet international challenges and achieve scientific development. The focus of phosphorus chemical research and development is to increase the overall utilization rate of resources, and in particular to promote the extension of the deep processing industry chain of phosphorous resources and the adjustment of product structure, and to carry out comprehensive utilization of waste slag to achieve high, refined, and sharp development of the industry. It is understood that Fangchenggang Qianlong Fine Chemical Co., Ltd. has now been able to produce the electronic grade phosphoric acid known as the "Pearl of the phosphoric acid industry." The products are sold to Southeast Asia, South Asia, Oceania, and South America. The formation and promotion of industrial upgrading have played a role. Huang Dabei, chief engineer of Guangxi Nanning Donghe New Win Environmental Protection Technology Co., Ltd., said that the development of phosphorus chemical industry should pay attention to waste utilization. At present, Donghe New Win Company has developed key technologies such as comprehensive utilization of â€œthree wastesâ€ and low-grade phosphate ore extraction and production for the characteristics of the phosphorus chemical industry to provide professional technical support for Guangxi Phosphorus Chemical Industry. In addition, Fangchenggang is currently building the Phosphorus Chemicals Industry and Trade Industrial Park. The park covers an area of â€‹â€‹nearly 2,000 acres. The planned projects include Bosen Company, Lida Company, Shengnong Company, etc., with a total investment of 1.2 billion yuan, and plans to develop Jingshen Phosphorus Chemical Industry. The project has become a green phosphorus chemical industry base that integrates scientific research, production, and sales, forming a corporate structure that combines foreign capital and domestic-funded enterprises. At present, there are 8 phosphoric acid companies in the park. Most of their products are exported; 5 phosphoric acid companies are under construction and will be put into production in the near future. Lin Ming believes that currently, the development of Guangxi phosphorus chemical industry is facing challenges and opportunities. Competition in the international and domestic markets has intensified and the industry is facing upgrading. Therefore, companies should work hard to strengthen internal strength, strengthen contact and cooperation, and cleverly use the opportunity of relocating and entering the park to actively use the agglomeration effect of the Phosphorus Chemical Industry Park and build the Phosphorization Industrial Park and other typical phosphatized parks in Fangchenggang into an integrated industry and trade, business and housing. One of the green recycling chemical park. We can see some famous brands of Airport X-Ray Machines in airport, like SMITH(U.K.), GARRETT(U.S.A.), RAPISCAN(U.S.A.), CEIA(Italy). X-Ray Baggage Scanner protect people's life from being hurt and property being damaged by terrorism. Chinese X-Ray Luggage Scanner is cheap but also good in use. And also offer 1 year warranty, it worth your choice!